On a September day in 1940, four teenage friends entered the Lascaux cave in southern France and stumbled upon an astonishing, priceless treasure. Beautifully subtle paintings and engravings of animals lined the cave walls – highly sophisticated artwork made by the hands of our early ancestors almost 20,000 years ago. With their evocative imagery, the cave paintings of Lascaux quickly gained recognition as the world’s premier example of prehistoric art. 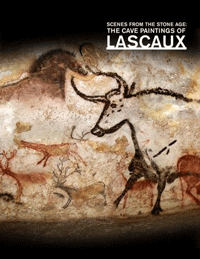 Lascaux (pronounced Lass-KOH) attracted over one million visitors between 1948 and 1963, when the French government closed the cave to the public in order to preserve the ancient masterpieces. Now visitors to Chicago’s Field Museum can experience the same thrill of discovery felt by those young cave explorers more than 70 years ago. Paintings of Lascaux, featuring full-size replicas of the paintings, including some shown for the first time to the public. They are the most technically accurate reproductions of the cave paintings ever done. The Field Museum is the first North American venue for this much-anticipated exhibition, organized by the Conseil General de la Dordogne in France. The Field’s showing of the exhibition runs through September 8, 2013. In Scenes from the Stone Age, visitors experience walking through a cave-like gallery to discover paintings such as the Great Cow Panel, Swimming Stags Frieze, Crossed Bison Panel, and Shaft Scene which have never before been reproduced and are shown here for the first time. Simulated oil lamps and torch light illuminate the paintings to make them appear as the ancient artists would have seen them. The exhibition also features an amazingly life-like stone-age family, created by world-renowned sculptor Elisabeth Daynès. The family – an old man, an adolescent, a woman, and a child – are dressed in clothing and ornaments made of materials available 200 centuries ago. These people were far from the “cave men” of popular imagery. They were sophisticated hunters and gatherers who lived in a structured society with a culture much more refined than most of us imagine. The exhibition features rare stone-age artifacts from the Museum’s collections, and a multi-screen video explains more about how Paleolithic people lived, hunted, ate, and clothed themselves. 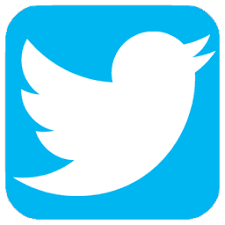 Scenes from the Stone Age also offers an unforgettable virtual tour of the entire Lascaux cave, thanks to cutting-edge laser mapping and the most advanced 3D modeling technology. Multimedia presentations and interactive stations reveal the paintings’ complexities and provide insight into the talent required to create them. For instance, visitors can observe the Great Black Cow panel as a projection on the wall constructs and deconstructs the painting, uncovering engravings, hidden animals, and symbols. Visitors can discover how the Lascaux artists took advantage of the cave’s natural relief to create perspective and movement. Scenes from the Stone Age invites us to contemplate these early masterpieces in all their splendor, and reflect on the creativity and humanity of our early ancestors.